Click the button below to add the Alice - 5pcs Youth Twin Full Black Panel Storage Bed Children Kids Bedroom Set to your wish list. 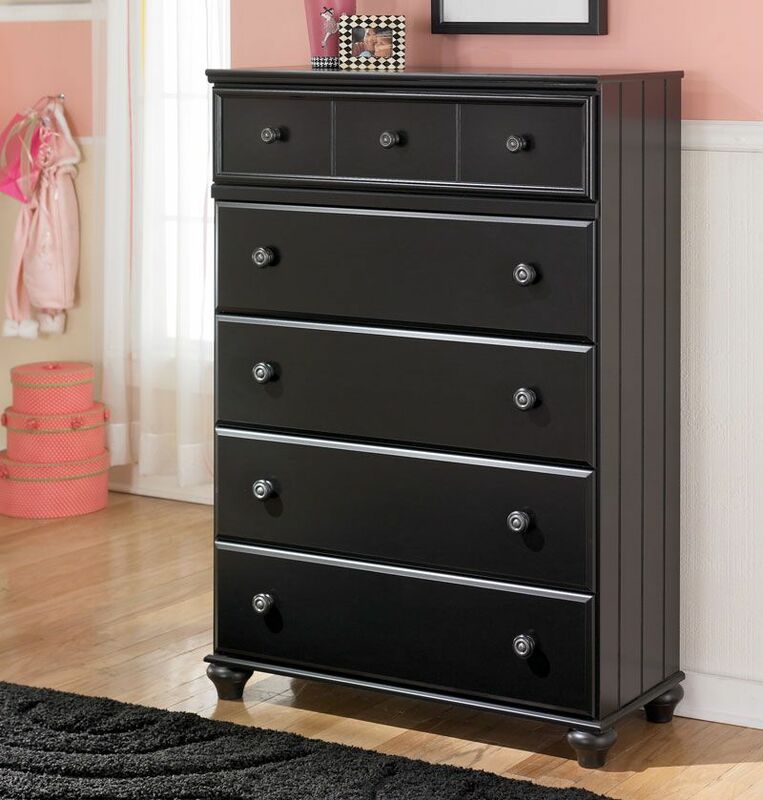 With the replicated black paint finish surrounding a comfortable cottage design, this youth bedroom collection captures the vitality of youth within a collection that fits flawlessly into any child's bedroom. The decorative moulding, turned bunfeet and stylish pickle fork groove details are bathed in a black finish that beautifully complements the relaxed cottage design. With the large turned wood knobs decorated with pewter finished metal rosette inserts, this furniture creates the perfect atmosphere for any child's room.